Keep an eye on your frilly sweaters and balls of string when this adorable kitty comes out to play. 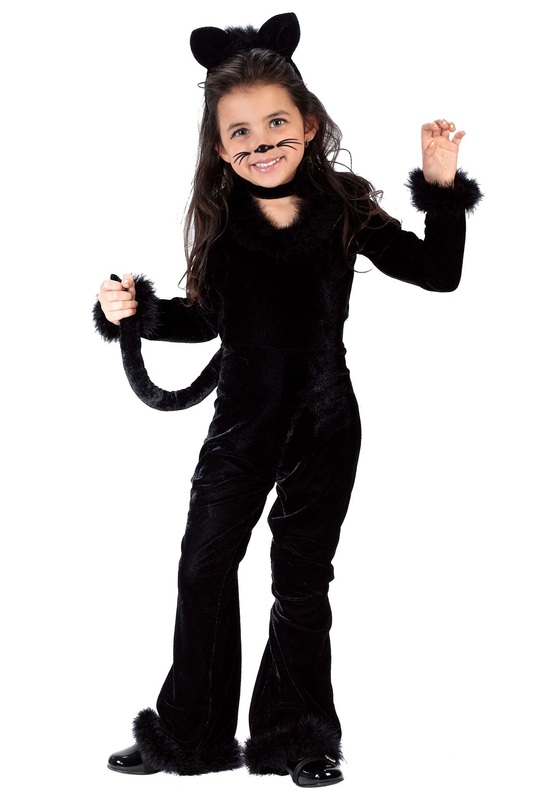 Your little one will probably unravel anything she can find when she's wearing this Toddler Playful Kitty Costume, but at least it will be pretty cute while she's at it! Everyone knows that kitty cats can be a bit unpredictable at times. One moment, they're zonked out and laying in the sun, and the next they're stalking a bird that's a few blocks away. That's just how kitties play, and once you see them in action, you'll see it's no wonder that showing off videos of those playful critters is pretty much what the internet was made for. Your little gal may not be able to climb up curtains or squeeze behind the sofa very well, but she can still run and pounce as cutely as a real furry feline! What makes this costume the "purr"fect kitty outfit is that it comes with everything she'll need to look as playful and mischievous as an actually kitty cat. The soft one piece jumpsuit is made of stretchy black velvet, to give her an agile look, and it features fluffy feathering around the cuffs and neckline. It also comes with an attached stuffed tail, and a headband with pointy black cat ears to top off her sleek style. Then, all she'll need is a bird or a ball of yarn to play with, and don't forget to record it to show all the relatives!